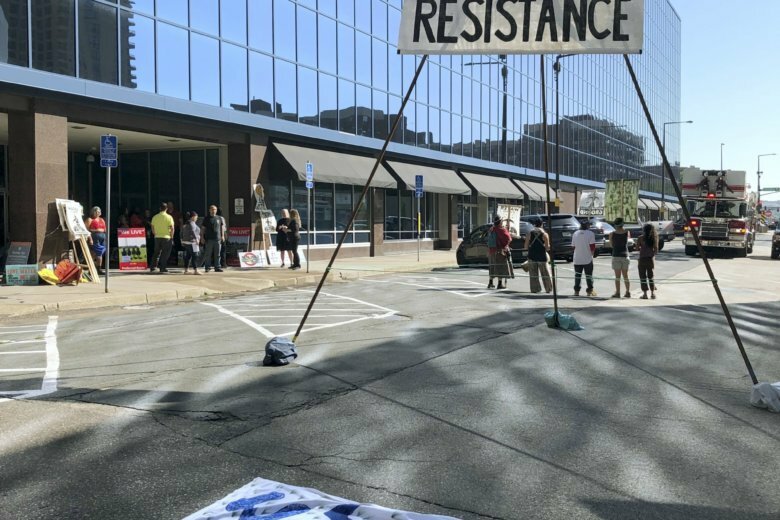 ST. PAUL, Minn. (AP) — Minnesota regulators on Thursday approved Enbridge Energy’s proposal to replace its aging Line 3 oil pipeline, angering opponents who say the project threatens pristine areas and have vowed Standing Rock-style protests if needed to block it. “They have gotten their Standing Rock,” she said, referring to protests that drew thousands of people to neighboring North Dakota to rally against the Dakota Access pipeline. After commissioners agreed the pipeline upgrade was needed, the commission voted 3-2 in favor of a slightly modified version of Enbridge’s preferred route. The company wanted to depart from the existing pipeline to largely avoid two American Indian reservations currently crossed. Enbridge and its customers strongly dispute the lack of need in the region . They said Line 3’s reduced capacity is already forcing the company to severely ration space on its pipeline network, and that failure to restore its capacity would force oil shippers to rely more on trains and trucks, which are more expensive and less safe. Business and labor groups support the proposal for the jobs and economic stimulus.